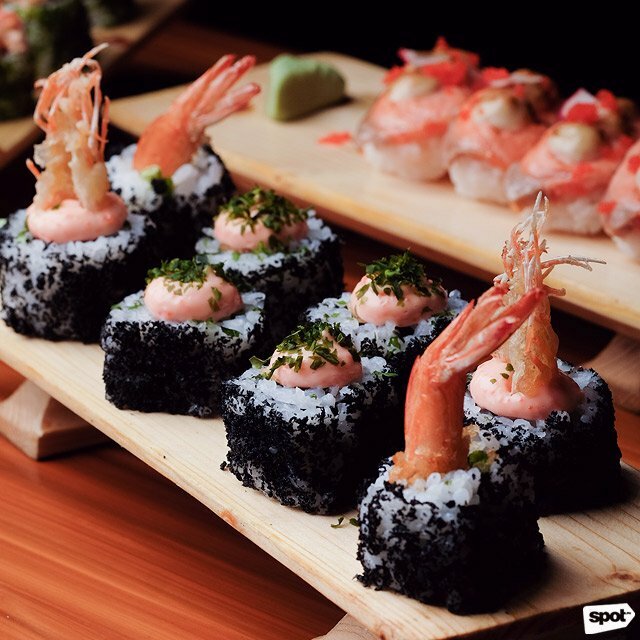 (SPOT.ph) Looking for a first-date restaurant can be tricky business. You want to make a great first impression, but you also don't want a place that's too intimidating. Plus, there's also the budget to think about. 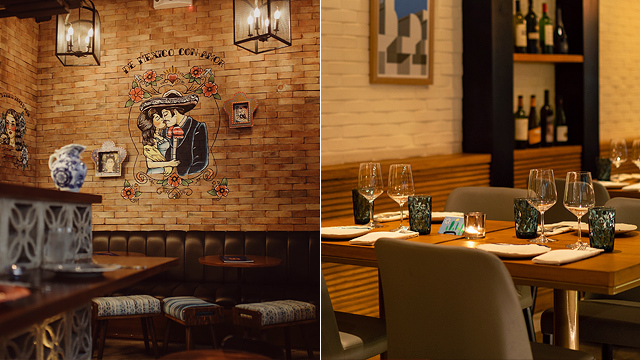 Whether you're in the mood for casual eats or don't mind dressing up for a great dinner, we round up some no-fail date restaurants in Manila. Coffee enthusiasts on their first date would appreciate the eccentric concoctions of Baguio-born The Coffee Library. 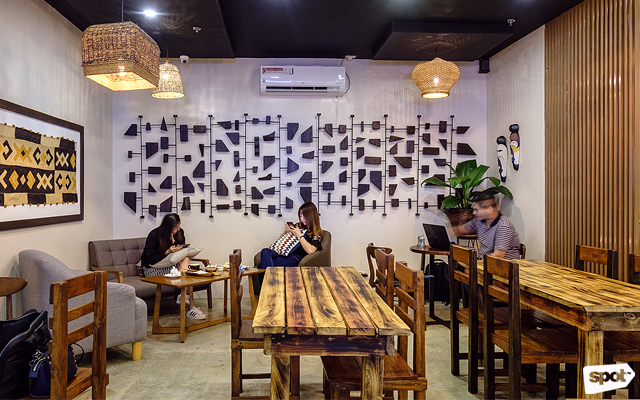 The café features not just your usual Italian coffee like lattes and cappuccinos but also Vietnamese coffee prepared via the traditional drip method. 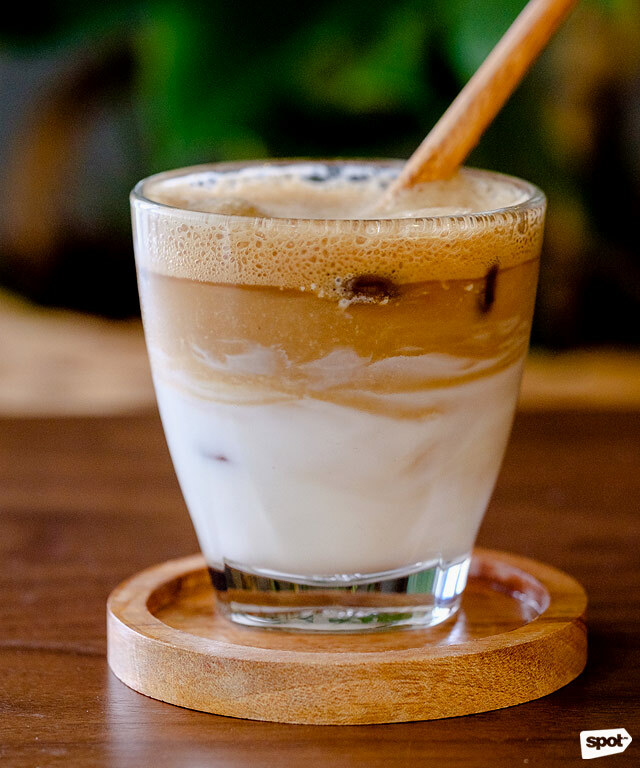 They come in unconventional flavors, too, like the Ca Phe Bak Xiu, which is coffee flavored with coconut milk; Ca Phe Sua Chua, or coffee with yogurt; or the Egg Coffee, which sounds strange but will remind you of eggnog. You won’t go hungry here, either, with their menu of hearty dishes like Pho Bo or Vietnamese noodle soup, Nem or crispy spring rolls, Baby Back Ribs and Crispy Pork Kare Kare. It helps that the café is designed to resemble a cozy home to help you and your date immediately feel relaxed and at ease. The Coffee Library is at G/F SMDC Breeze Residences, Roxas Boulevard, Pasay City. 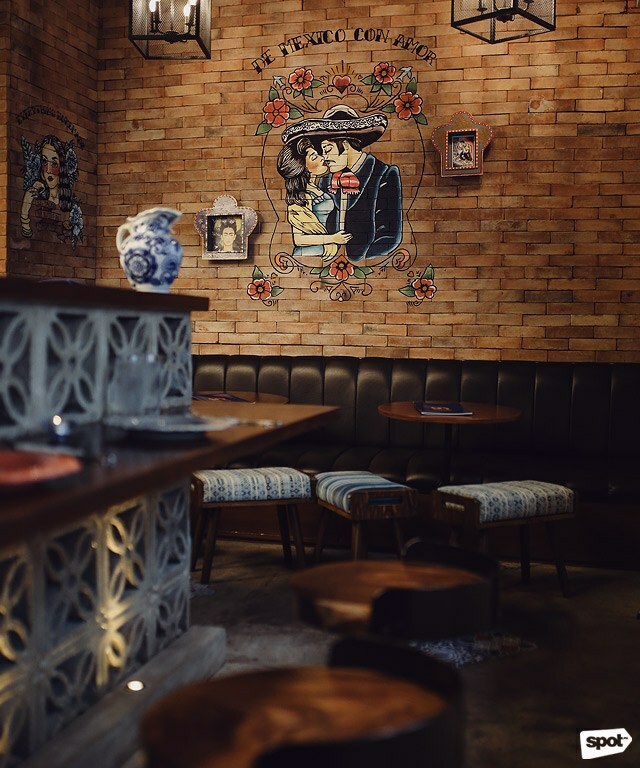 Popular taqueria Lo de Alberto has opened an outpost in Makati and it’s a bit more intimate than their Pasig counterpart—the space can only seat 10 to 12 people, perfect for when the date calls for a little more privacy. Plus, the secluded nooks and charming murals give off that Latin-romance vibe. Anyone who’s been to their City Golf branch can confidently declare that you can’t go wrong with anything on the menu: Have the best-selling, wonderfully nutty Horchata, for starters. 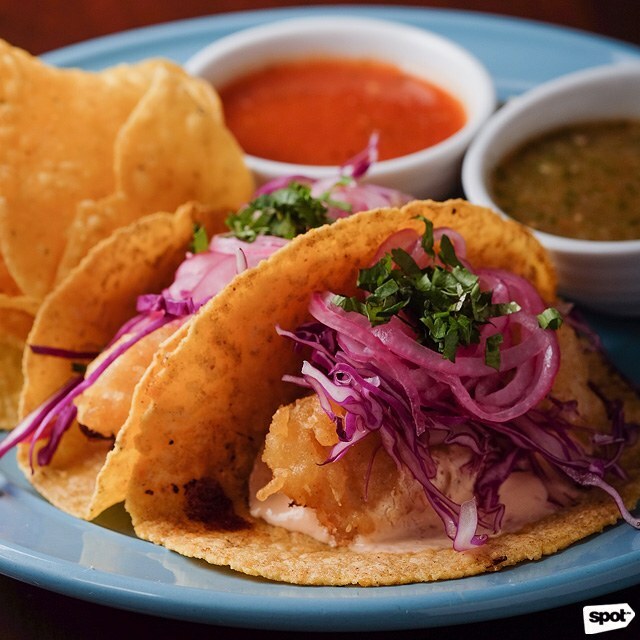 Then split an Ensenada Taco, fresh street tacos with deep-fried tilapia. Get an Albondigas Burrito, too: It’s a pretty intimidating giant burrito stuffed with meatballs and blanketed in tomato sauce, but you’ll regret not having it. 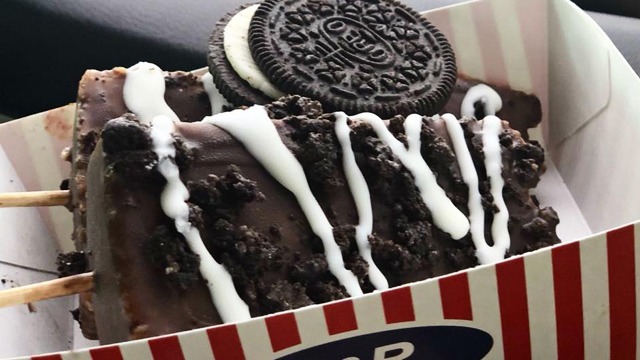 Stuffed but also don’t feel like ending the night just yet? Cap off a successful date with glasses of Sangria de Mexico, and maybe a wonderfully citrusy-sweet Pay de Limón, too. Lo de Alberto Makati is at Tropical Palms Condominium, Gallardo Street corner Dela Rosa Street, Legazpi Village, Makati City. 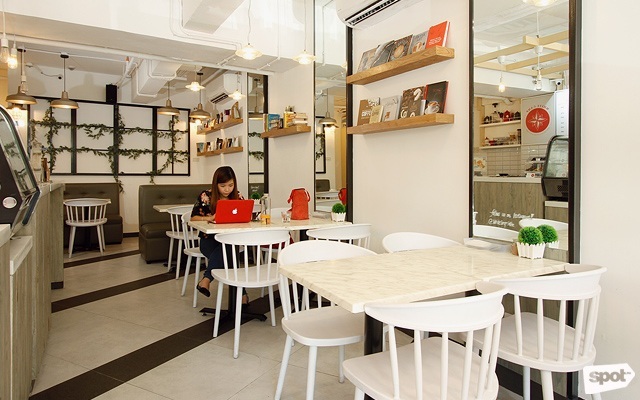 While lots of coffee shops have a brooding, industrial-inspired aesthetic going for them, White Camp goes the bright and cheery route, which is not only the perfect match for their bubble waffles but also makes it easy to hang here for hours. 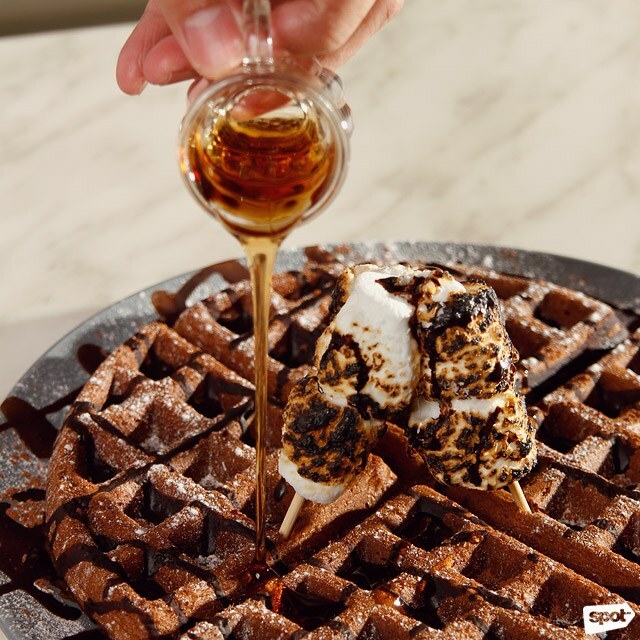 The S’mores Waffle is big enough to split between two but toothsome enough to make you want to keep it to yourself. Though if you’re game to share, have the Cheesy Wonton with Truffle Honey, little bites of crunch and rich cheese tempered by a dash of sweetness. Remember to pair your meal with the delightfully fizzy Espresso Soda, but if you need something darker to cut through the sweetness, the Long Black works, too! White Camp is at 62 Sergeant Esguerra Avenue corner Mother Ignacia Avenue, South Triangle, Quezon City. 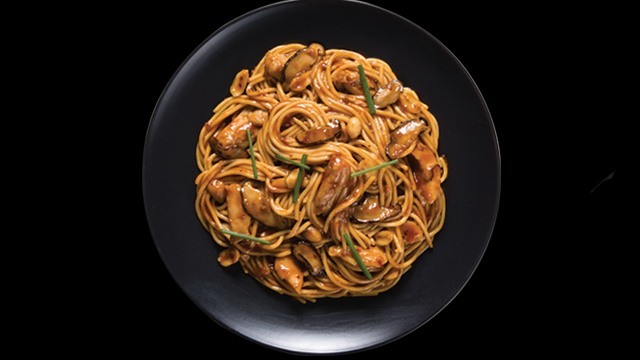 Going on a first date with someone is unfamiliar territory so it helps to have comforting, familiar food to keep those jitters at bay—and when it comes to comfort food, you can count on Borough. Their Podium branch is temporarily closed for renovations but you can head to their BGC branch instead, which is just as cozy. 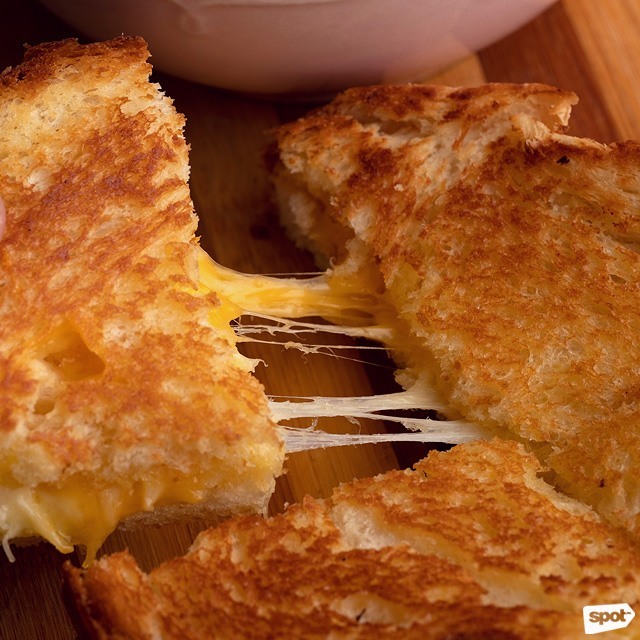 Your favorites are still on the menu like the best-selling Grilled Cheese and Tomato Soup, which still has that irresistible combination of the gooey cheddar and mozzarella cheese between two fluffy brioche buns, and a thick tomato soup to dip it in. If you’re extra hungry, have the massive Apple Cranberry Stuffed Pork Chops, which has lip-smacking roasted pork chops stuffed with cranberry-apple brioche stuffing and paired with “dirty” skin-on mashed potatoes, and buttered French beans. This is only available during dinnertime, though, so plan your date accordingly. Don’t forget to end your meal with Mom’s Milk and Cookies! 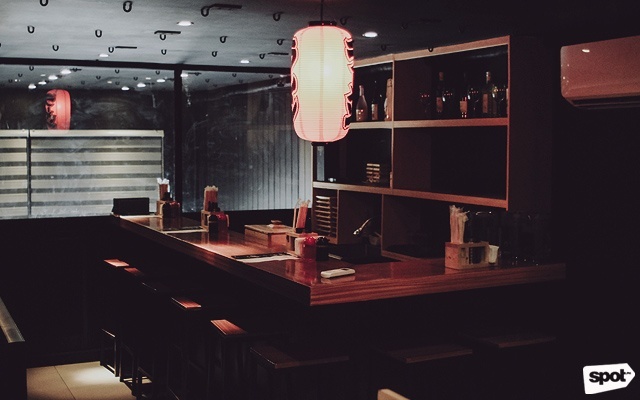 Ohayo makes up for their cozy size with a pretty varied menu of Japanese favorites. At the center of the space is an open kitchen and ramen bar where you can sit if you’re dining solo—but on dates, you’d prefer the dramatically lit, private second-floor dining area. With ramen in their name, you know ordering a bowl here is a good idea: If you’re not afraid of heat, have the Tantanmen with a rich, flavor-heavy broth full of nutty and spicy notes, plus small but generous chunks of succulent pork belly. 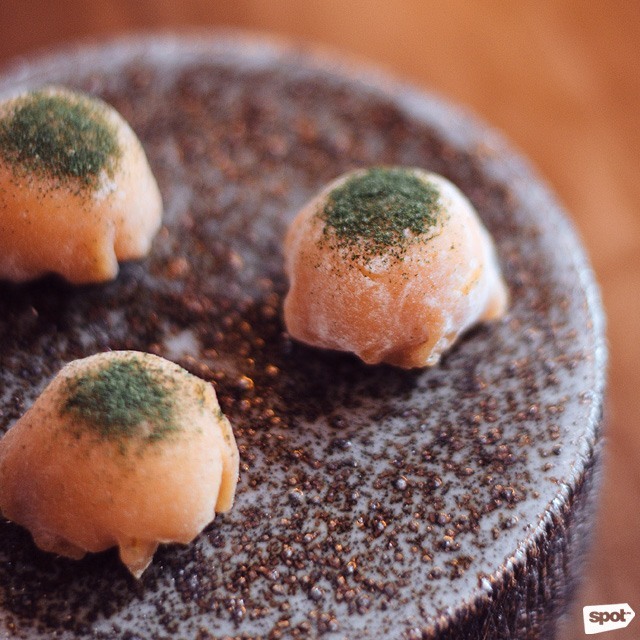 Sushi, like the Ebi Black Maki, which combines maki and ebi tempura, is great here, too, but you shouldn’t overlook the Gyoza, which comes as a crispy-fried disk, giving the dumplings a crunchy crust that complements its pleasant chewiness. 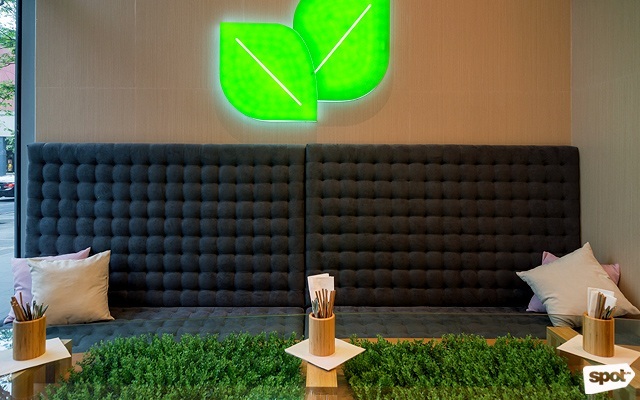 If you and your date both love matcha, you’ll enjoy Nomi in BGC. The charming café has booths to give you some privacy while you enjoy matcha-fied treats and drinks like the Matcha Refresher, a matcha drink with a citrus twist from lime juice; and the Give Me Everything tray, which will get you decadently moist Legendary Greenies or brownies made with matcha; Matcha Churros, and the creamy Tiramisu Dream. 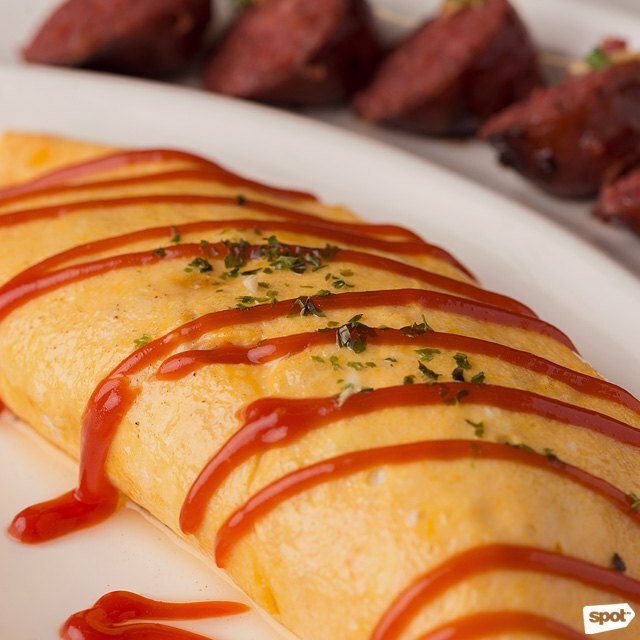 You can also enjoy savory Japanese-inspired dishes like the Longganisa Omurice, which features a tasty fried rice wrapped in a delightfully runny omelet and paired with sweet longganisa. 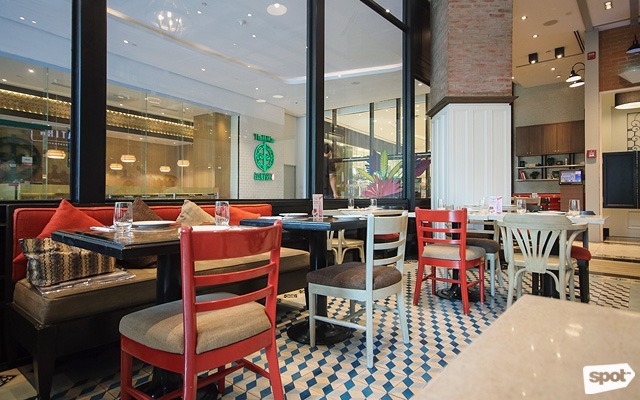 Nomi is at G/F W City Center, 30th Street corner 7th Avenue, Bonifacio Global City. 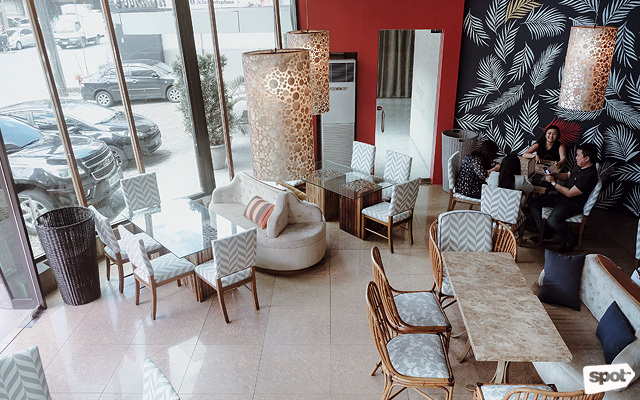 The best places for first dates are those that allow you to let loose and have some fun, and that’s exactly what you can get at tapas bar Más. 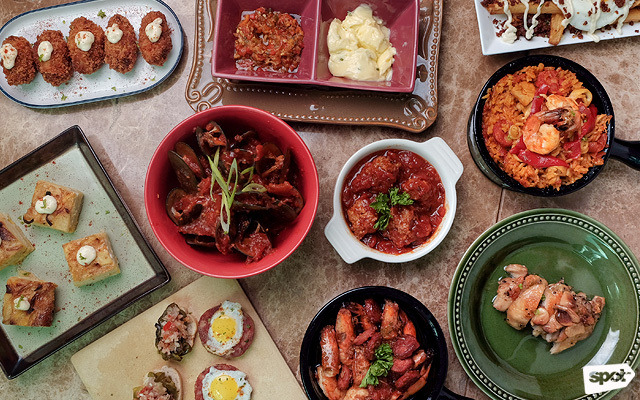 For P550, you can get the Más Classicos, which will let you munch on an unlimited array of tapas. And just because it’s unlimited doesn’t mean they skimp on quality: The Albondigas or Spanish meatballs come swimming in a tomato sauce that has just the right tangy punch to get things started, while dense, creamy, potato-filled Tortilla de Patata can get very addicting. Be sure to pair everything with a couple of Sangrias or even an Amaretto Sour. Más is at 18 Missouri Street, North East Greenhills, San Juan City. 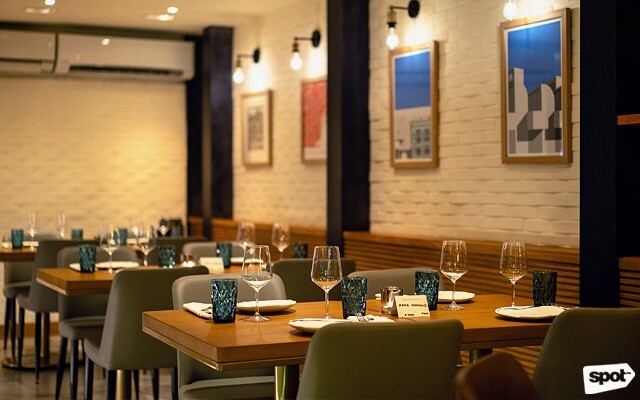 You may not be able to go to New York City with your date just yet, but Flatiron 1771 will make you feel like you’re dining out at a chic, trendy restaurant in the city. The menu is inspired by modern American staples but with Chef Vicky Pacheco’s flair. For starters, have the Potato Skins platter, fried skin-on potato wedges topped with pulled-beef brisket, smoked salmon, and sautéed tuna. 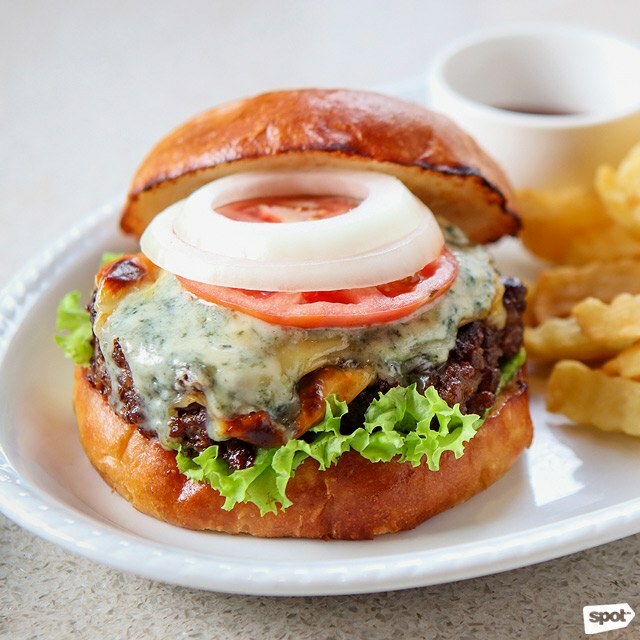 If you don’t mind making a mess—hey, your date shouldn’t judge you!—chow down on the Blue Cheese Burger with a hefty beef patty topped with pungent blue cheese that’s balanced out by the fresh crispness of lettuce, tomatoes, and onions. Plus, at Flatiron 1771, you can go from dinner to drinks with their al-fresco bar where you can have classic cocktails like the Cosmo. BCN By Rambla has a laid-back elegance to it; you’ll want to come in your best outfit but you won’t feel too intimidated to be yourself the whole evening. Nothing else says a romantic date more than a fine bottle of wine, and BCN boasts a finely designed wine cellar stocked with different bottles from Spanish winemakers. Of course, if there’s wine, there must be tapas: Expect daintily plated, impressive creations like the Foie Mi Cuit Con Calabaza y Yogurt, savory, rich, and tart all at once with foie terrine, sweet pumpkin, yogurt, and a Pedro Ximénez white-wine reduction. 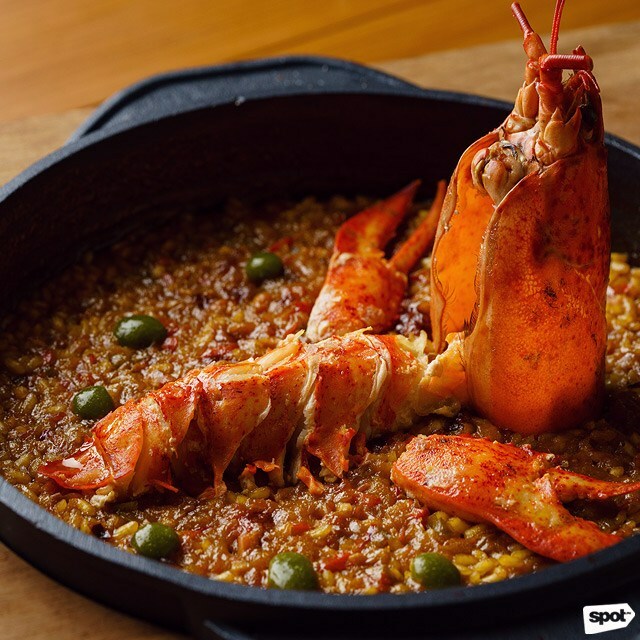 There’s heavier fare, too, like the Arroz de Bogavante a La Parrilla, grilled paella with an entire lobster as its centerpiece. Though if you really want to impress, order the BBQ Costillar de Cerdo Iberico, barbecued ribs from the Black Iberian pig that are marbled with generous layers of fat and cut like butter. 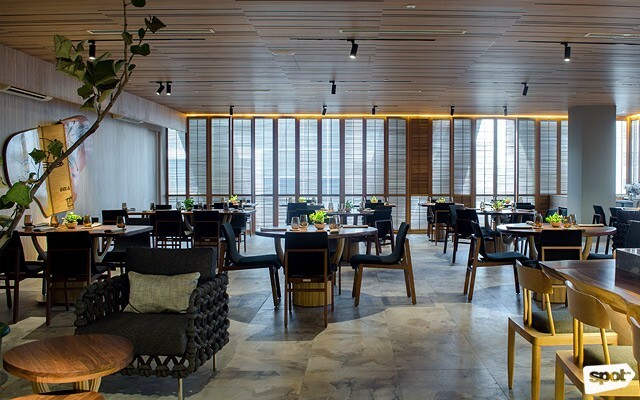 In May 2018, Chef Luis "Chele" Gonzalez rebranded Gallery VASK into Gallery by Chele, a more laid-back iteration of his restaurant but with the same “Asia’s 50 Best Restaurants”-quality food. 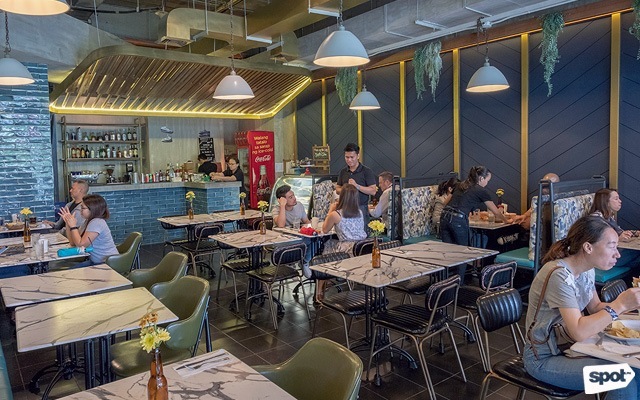 The refurbished space feels much more casual but also much more elevated than your usual everyday haunts—a great vibe to have for a first date. While Gallery by Chele offers à-la-carte options, having the tasting menu lets you have the best of what the restaurant has to offer. Plus, they don’t cost an arm and a leg like what you might expect. Pair their bites with a cocktail or two or have them at the open bar in the center of the restaurant.